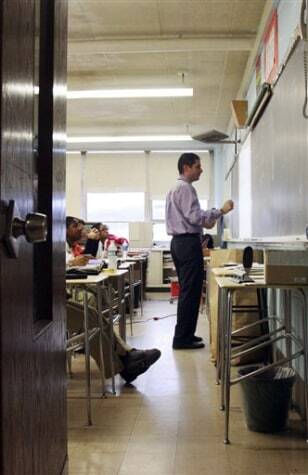 James Todaro teaches algebra at Baltimore Polytechnic Institute on Dec. 19. Todaro was injured in a car accident and stayed home for several days recently. But each day, the bandaged Todaro came to school to leave an updated lesson plan for the substitute.